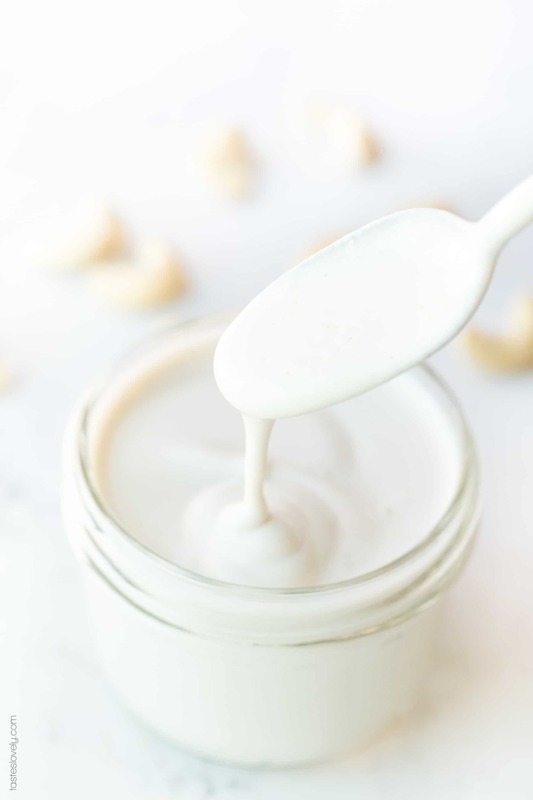 Cashew Cream – A Whole30 & Paleo cream substitute made from cashews that is dairy free. Use it in soups, sauces, beverages and more. Cashews are quickly becoming my new favorite nut. Not only are they delicious, but when blended they become the most perfect substitute for dairy! First I used cashews to make an herbed cashew cheese. 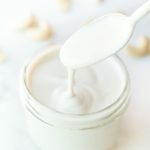 Now I’m using cashews to make a dairy free substitute for heavy cream or half and half. Cashews already have a hint of sweetness, just like cream. When blended, they become ultra creamy and smooth, making them the perfect dairy substitute. 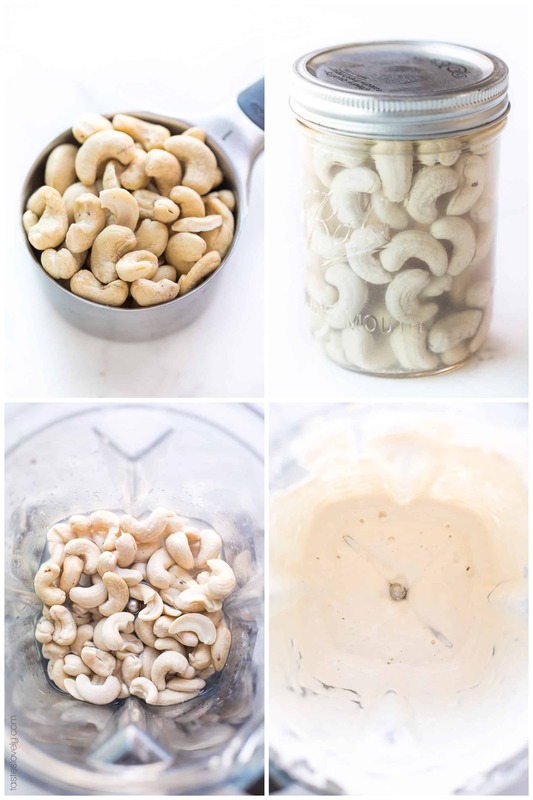 To get them plump and ready to get velvety smooth, you want to soak the raw cashews overnight in water. In a pinch I’ve blended them raw without soaking, and it still works but it doesn’t get nearly as smooth. I store my cashew cream in a half pint mason jar. It is the perfect size to hold the 1 cup of cashew cream. It will keep in the fridge for 1 week. 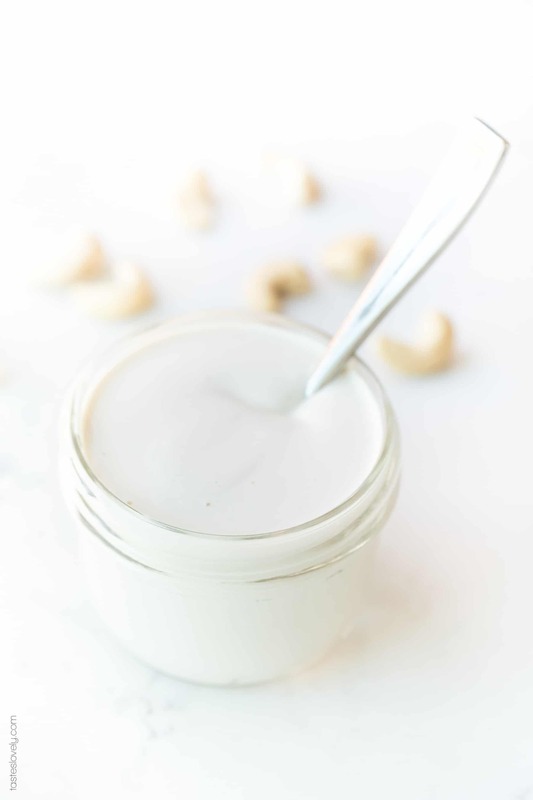 Use this cashew cream with a 1:1 ratio in a recipe that calls for cream of half and half. It’s perfect the paleo and whole30 cream substitute in soups, pasta sauces, beverages and more! Add the soaked cashews and a fresh 1/2 cup of water to your high speed blender. Blend on high speed for 2 minutes, scraping down the sides with a spatula half way through. Will keep for 1 week refrigerated. I like storing mine in half pint mason jars. 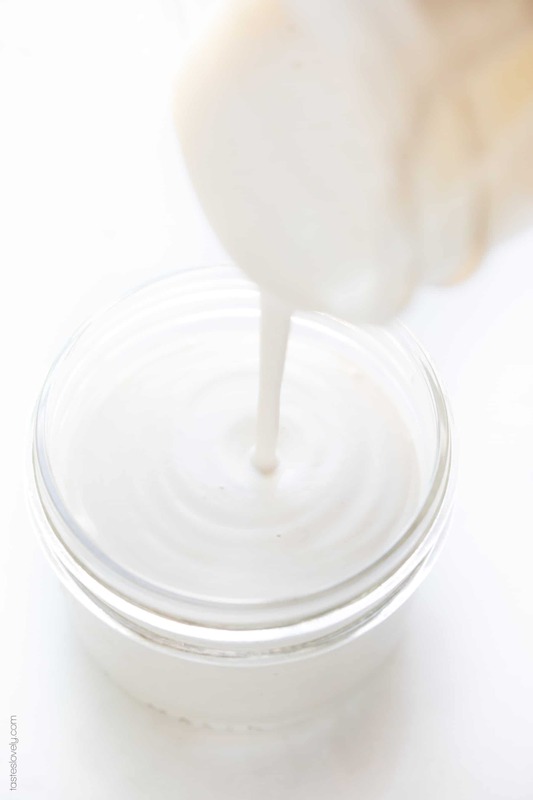 Use as a 1:1 ratio for cream in sauces and and cooking recipes. I’ve made this without soaking my cashews first, and my high speed blender still does a pretty good job of making it smooth. But it is *much* creamier when I use soaked cashews. No need to strain! Just blend it up and enjoy!